Your two main endocannabinoids (anandamide and 2-AG) both limit the stress response. Here is the unique role that each one has in stress and anxiety. Cannabis has been used for centuries for the treatment of stress. This clearly indicates a role for the regulation of stress by the endocannabinoid system (our body’s own system of cannabinoid ligands and the receptors they activate). In fact, we now know that a properly functioning endocannabinoid system is extremely important for dampening the effects of stress. Consider this: mice that have their cannabinoid CB1 receptors genetically deleted can live just fine. They do not technically need their endocannabinoid system. These mice have some minor behavioral differences under normal conditions, including slightly increased anxiety behaviors. Not such a big deal. But when placed under stressful conditions, these mice have dramatically enhanced anxiety behaviors. Even just 10 years ago we knew very little about exactly how the endocannabinoid system was involved in managing stress. But thanks to the scientists working in this field, we now have a much better understanding. This work was covered by a 2016 open-access review article: Neurobiological Interactions Between Stress and the Endocannabinoid System. I will give an overview below, but please look into this article for more details and all references. 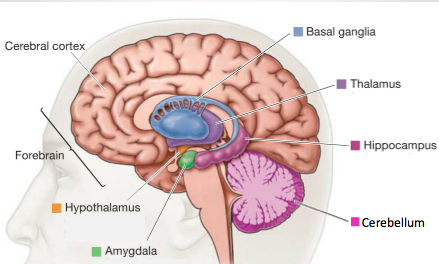 The amygdala is a key brain region in stress and anxiety. It determines (subconsciously) if there is a threat present. Although it doesn’t do this alone (the medial prefrontal cortex and hippocampus are important too), it is probably the most important. If a threat is detected, your amygdala starts to coordinate your body’s stress response. A specific part of the amygdala (the basolateral amygdala or BLA) sends a signal to your hypothalamus (right next door) to start activation of the HPA (hypothalamic-pituitary-adrenal) axis. 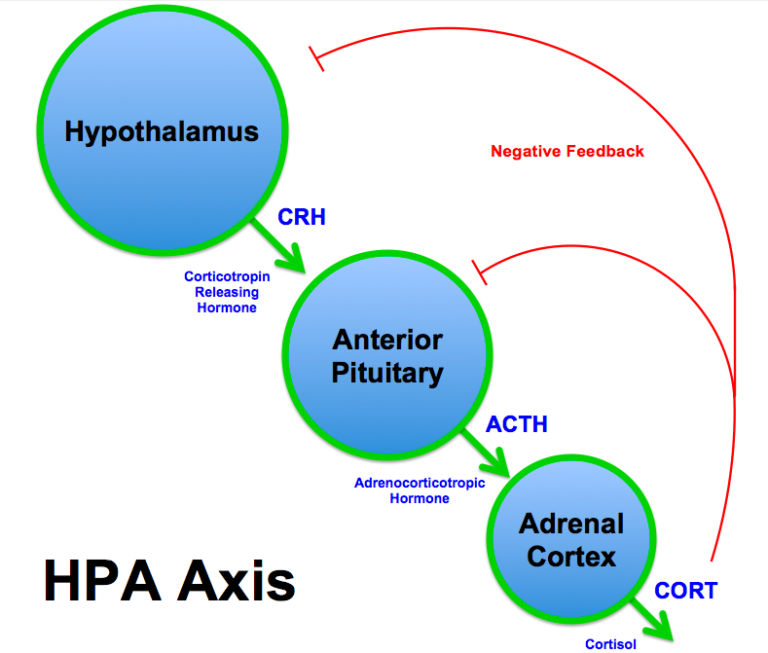 The HPA axis is like a chain reaction that ends in glucocorticoids being released from the adrenal glands. The most important glucocorticoid in humans is called cortisol. Chronically elevated cortisol contributes to many of the bad effects of chronic stress. For example, ever wonder why you are more likely to get sick when you are stressed? Cortisol is a potent suppressor of the immune system that prevents you from fighting off pathogens as well. Anandamide in the amygdala regulates activation of the HPA axis. In fact, anandamide seems to have a “gatekeeper” role in the BLA, controlling whether it can relay a stress signal on to the hypothalamus. Direct administration of an anandamide-boosting drug to the BLA inhibited stress-induced activation of the HPA axis. On the other hand, local BLA administration of a CB1 antagonist (which blocks the effects of anandamide) was sufficient to increase HPA axis activity. There is always some baseline level of anandamide present in the amygdala, whose purpose may be to constrain the HPA axis when there is no threat present. But then how can the HPA axis be activated if there is always anandamide there to inhibit it? The answer is that acute stress causes a rapid reduction in brain anandamide levels, particularly in the amygdala. This reduction in anandamide is what allows the HPA axis to be fully activated. How are anandamide levels reduced? 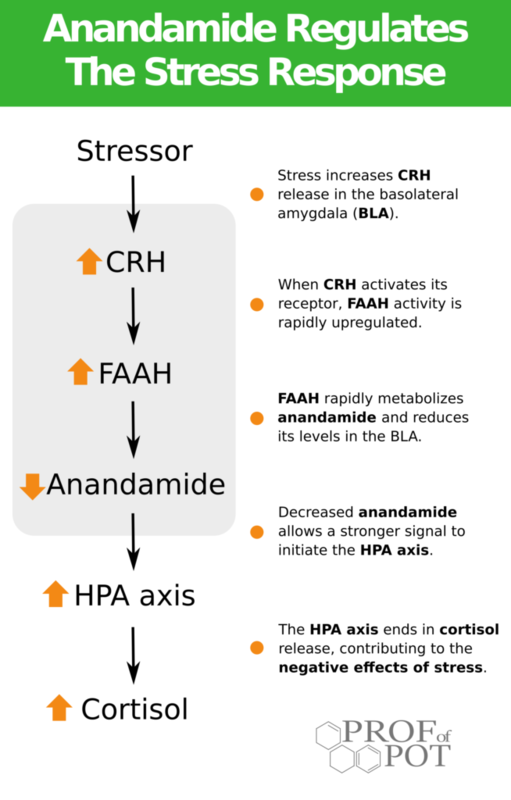 During acute stress, amygdala activation causes rapid release of a neuropeptide called CRH (corticotropin-releasing hormone). CRH acts in the BLA to induce activity of the anandamide-metabolizing FAAH (fatty acid amide hydrolyase) enzyme. FAAH is able to quickly metabolize anandamide and bring its levels down. Reduced amygdala andamide levels and elevated FAAH activity are also seen in chronic stress. This may also be driven by chronic cortisol elevations in addition to CRH. 2-AG has a similar, yet distinct role from anandamide in limiting the stress response. So how are they different? 2-AG is a negative feedback mechanism that acts downstream of the HPA axis (instead of upstream like anandamide). One of the main symptoms of being stressed is a feeling of anxiety. Chronic anxiety is prevalent in our society and for many people can interfere with their daily lives. Although this is a separate process from activation of the HPA axis, there are several overlaps. Many of the same brain circuits are involved and chronic HPA axis activation may contribute to chronic anxiety and depression. A tonic level of anandamide is present in most brain regions and this may be important for ’emotional homeostasis’. Reducing anandamide levels predisposes animals to stress-induced anxiety and raising anandamide levels is protective. Anandamide has anxiety-protective effects in various brain regions (which should sound familiar by now), such as the amygdala, medial prefrontal cortex, and hippocampus. Inhibition of the 2-AG metabolizing enzyme (MAGL) also protected against stress-induced anxiety, even though it had little effect on baseline anxiety. 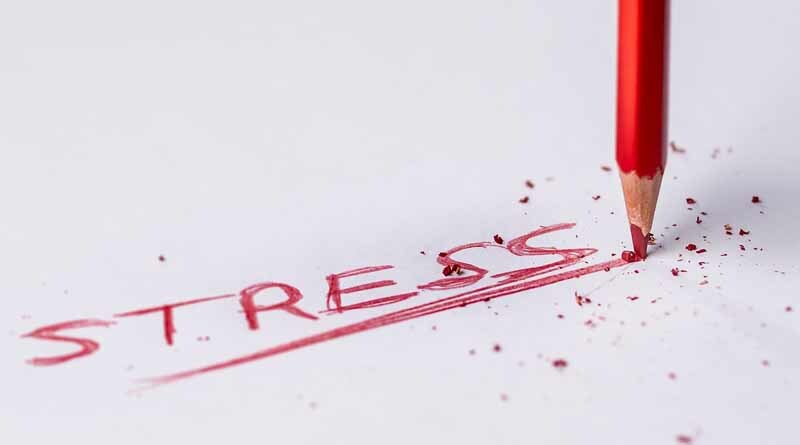 2-AG may protect against stress by acting both through the CB1 receptor as well as the CB2 receptor, although more research is needed in this area. Although the above results were from rodents, there has been at least partial confirmation in humans. For example, lower levels of circulating anandamide correlated with higher anxiety. There is also genetic evidence of the link between anandamide and anxiety (I wrote a bit about FAAH genetics and anxiety, although this is only one example out of multiple studies). The studies from the last 10 years generally support the ‘clinical endocannabinoid deficiency’ hypothesis. Some people may have an endocannabinoid system that is not functioning optimally – this can mean being deficient in anandamide, 2-AG, or having reduced CB1 receptor expression or signaling. Any of these states could theoretically put people at increased risk of stress-related pathologies, although more clinical evidence is needed for confirmation. © 2018 The Professor of Pot. Original article appears here. All rights reserved. Posted by special permission.